You’ll Notice the Difference from your very first visit. Just South of Federal way on Pacific Highway East. "I will forever bring my vehicles here! Karl worked on my car, he communicated what exactly needed to be done and what could wait. He is a shining example of what a mechanic should be, honest, great attention to detail, listened to what our issues were nd even made sure we got a loaner car because we had to leave the car there for a week." Since 1987, Southend Auto Care has been a family owned and operated auto repair service center to the Federal Way, Fife, Milton, and Tacoma, WA area. 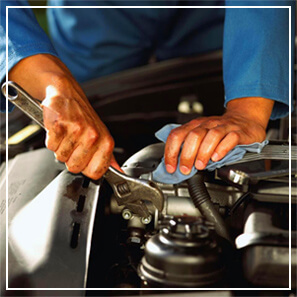 AAA top shop- 4 years and counting, our highly trained mechanics are genuinely interested in resolving your auto repair issues and are dedicated to delivering you complete satisfaction. We believe that being a responsible, conscientious business isn’t just about what happens within our doors. We believe it’s also about being a good neighbor and lending a helping hand. After all, we live in the Federal Way / Tacoma community too, and we strive to do what we can to make it a better place to live.